Smart speakers are one of the biggest growth categories for consumer technology today. 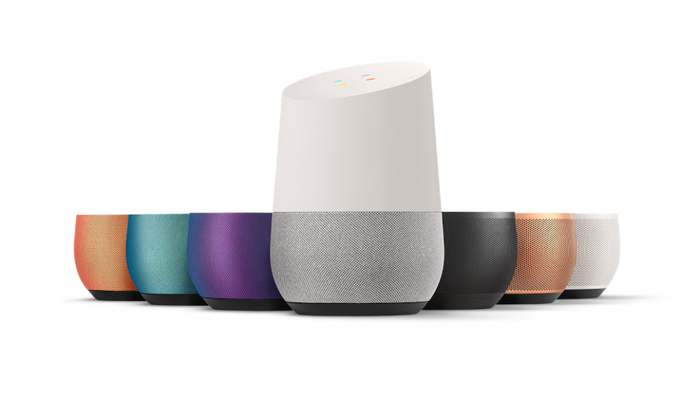 In Australia, the Google Home has dominated the market since late 2017 but competition in the space intensified in 2018 with the local arrive of both Amazon’s Echo range and the Apple HomePod. 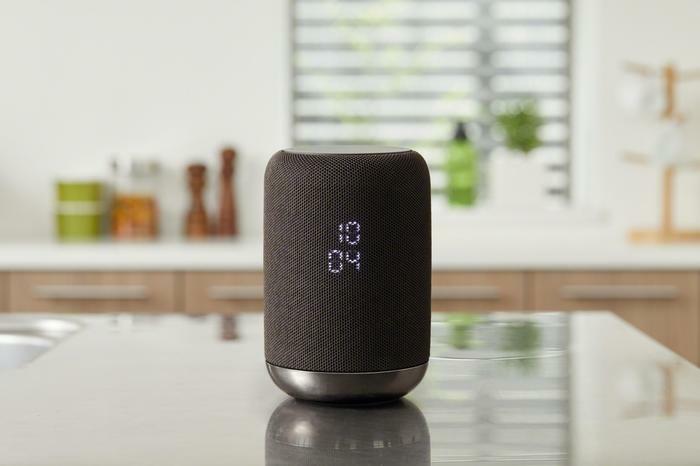 2019 is only beginning but if last year was any indication, this year will see the smart speaker category continue to thrive and evolve. With so many smart speakers competing for attention, it’s easy to get overwhelmed. If that describes you, here’s a quick primer on what smart speakers are and what to expect from each of the major brands selling them. Simply put: it’s a speaker that talks back. A smart speaker is usually a small-to-medium-sized wireless speaker that comes with at least one integrated set of microphones (usually far-field ones) and at least one on-board smart assistant (usually either Amazon Alexa or the Google Assistant). Why would I want one over a regular speaker? The first is that voice-based controls can offer a more intuitive and convenient experience compared to controlling your speaker using an app or set of physical buttons. Rather than fumble with a volume slider, you can just tell your speaker to turn the volume down. Suddenly want to change the track to something else? Tell your speaker and watch it happen. To some people, this might sound like a bit of a frivolous luxury but when the technology to enable this experience exists - it kind-of just makes sense to offer it. The second reason you’d want a smart speaker over a regular one comes with their ability to easily integrate alongside other “smart things” like smart appliances, smart lights and smart plugs. Using systems like IFTTT (If-This-Then-That), Alexa Skills or Apple’s HomeKit, you can then integrate your smart speaker as a unified hands-free controller for these devices. Rather than mess around with around with this or that app, you can turn your lights on and off by just telling them to. The last reason that you might want to buy a smart speakers has to do with the ghost in the machine: the ever-learning, AI-like smart assistant at the core of the experience. At the moment, the list of - to use a overly-general term - “things” you can do with your smart assistant is long but no means encyclopedic. However, as a result of the growing popularity of smart speaker-based implementations of these assistants, a lot of service-based companies are now moving to develop more complex and meaning integrations with popular smart assistants like Alexa and Siri. For example, NAB now allows customers to consult their customer service platform for queries like how to have a lost credit card replaced or how to reset their password using the Google Assistant. In some markets, you can already order a pizza using your smart speaker. The AI-like smart assistants inside every smart speaker are getting more complex and intelligent with every passing month. Buying a smart speaker now means you’ll be ready to make use of these new possibilities when and as they become a reality. How much do smart speakers usually cost? At present, there are four broad types of smart speaker available to everyday consumers. There’s the baseline pod-speakers (Google Home, Amazon Echo), which are usually priced between AU$150 and AU$200. Then, there’s the cheaper “Mini” variants like the Google Home Mini and Amazon Echo Dot, which are priced around AU$70 to AU$100. These offer an inferior audio experience to their regular-sized counterparts. However, the drawback is balanced against some savings when it comes to the price-point. This potentially makes them more affordable to those interested in smart speakers but doubtful about how much they might actually use one. Thirdly, there’s smart displays like the Amazon Echo Show and Google Home Hub. These slick-looking smart speakers come with an integrated display, opening up new possibilities. 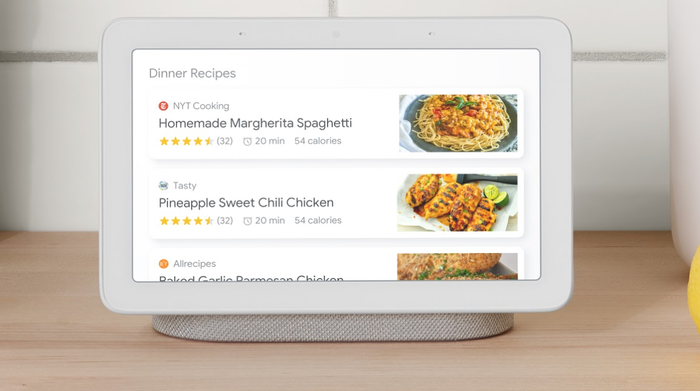 In just one example, you could ask your smart assistant how to cook a meal and it could present you with a copy of the recipe using the display. Finally, there’s the high-end, “plus-sized” smart speakers like the Google Home Max, Sonos One and Apple HomePod. These are very much the smallest of the four smart speaker styles to date. They tend to be priced above $300 and put that premium price back into the audio side of the experience, offering up a higher quality of playback than you’ll get out of other smart speakers. What smart assistants does it support? For obvious reasons, the only smart assistant supported by the Google Home is the Google Assistant. Using the on-board Assistant, the Google Home lets you ask questions, play music, check the weather, set reminders, consult your calendar, listen to news bulletins and interact with both connected smart appliances and compatible third-party services. In addition, further functions are being added every month or so via software update. As recently as February 2018, Google added support for setting up alarms with custom audio and finding out when your favorite TV show is coming back with a new season. In Australia, the Google Home is priced at an RRP of $199. The person who wants the standard Google Home smart speaker experience. Again, for obvious reasons, the only smart assistant supported by the Google Home Mini is the Google Assistant. Like the baseline Google Home, the Google Home Mini lets you ask questions, play music, check the weather, set reminders, consult your calendar, listen to news bulletins and interact with both connected smart appliances and compatible third-party services. In short, you can everything that the regular Google Home can do - it just won’t sound as good when it comes to the music playback. Like the regular Google Home, further functions are being added to the Google Home Mini every month or so via software update. For example, in February 2018 Google added support for setting up alarms with custom audio and finding out when your favorite TV show is coming back with a new season. You can read our full review of the Google Home Mini here. In Australia, the Google Home Mini is priced at an RRP of $79. The person who wants to try a smart speaker out to see if they’ll find it useful. The Google Home Hub is Google’s first smart display and it only supports the Google Assistant. The Google Home Hub lets you ask questions, play music, check the weather, set reminders, consult your calendar, listen to news bulletins and interact with both connected smart appliances and compatible third-party services. What’s the difference between this and the Google Home / Amazon Echo? 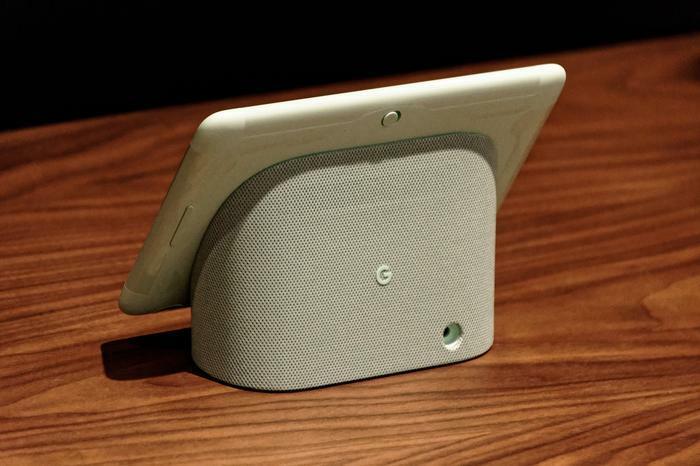 The difference between the Google Home Hub and the other Google Home devices is that it features a 7-inch touch-sensitive LCD display that allows the Home Hub to double as both a digital photo frame, content display, smart home control interface and more. You can read our full review of the Google Home Hub here. In Australia, the Google Home Hub is priced at an RRP of $219. The person who wants a Google Home speaker that they can use as a secondary display. 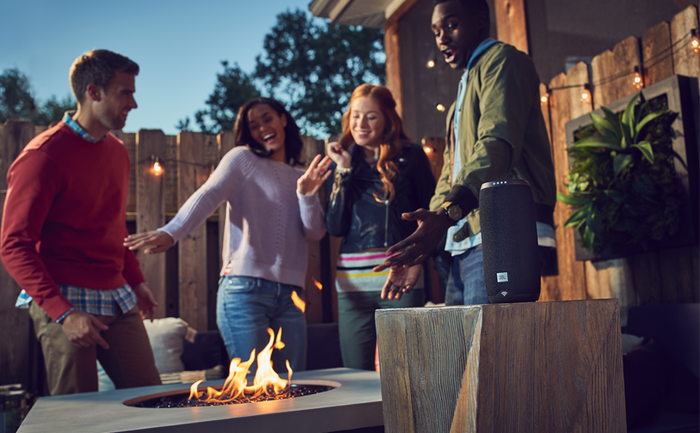 The JBL Link 10, JBL Link 20 and JBL Link 300 all rely on the Google Assistant for their smarts. They do not support any additional smart assistants. 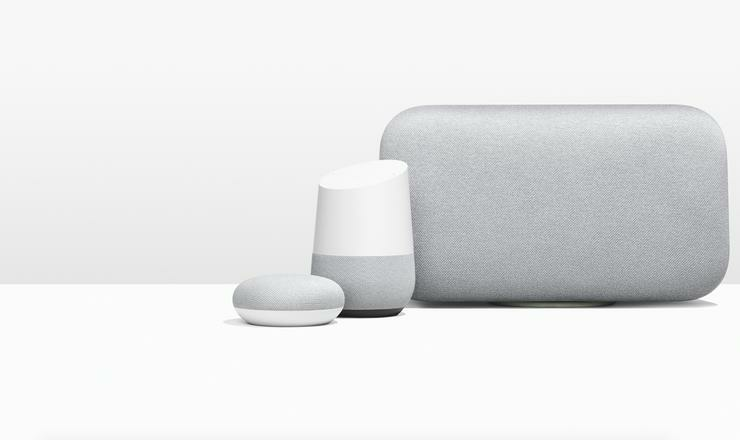 Everything you can do with the regular Google Home: you can ask questions, play music, check the weather, set reminders, consult your calendar, listen to news bulletins and interact with both connected smart appliances and compatible third-party services. In short, you can everything that the regular Google Home can do - but it will sound better. What’s the difference between this and the Google Home? Three things: the first is a heftier speaker rig that promises better audio playback. The JBL Link 10 boasts two 8W speakers and The JBL Link 20 bumps that output to 10W. The second is added durability in the form an IPX7 rating against water damage (found in both the JBL Link 10 and JBL Link 20). This serves to make the range potentially a better fit when it comes to outdoor or kitchen-based settings. Both the JBL Link 10 and JBL Link 20 also tout standalone portable batteries. This means that, unlike most smart speakers, they can be used away from a power plug - at least for a time. 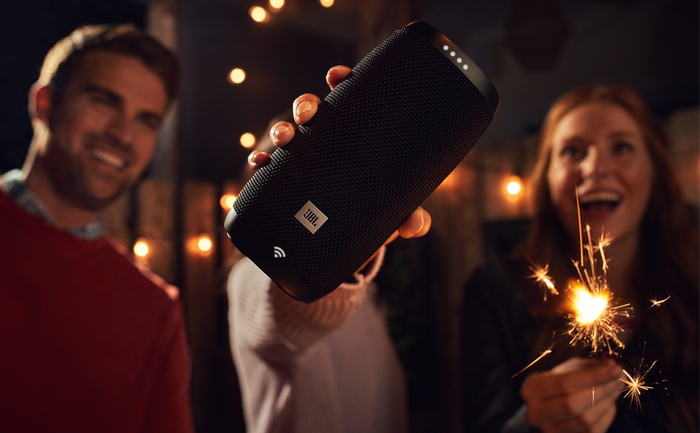 The JBL Link 10 packs 5 hours of battery life. The JBL Link 20 doubles this to 10 hours. The JBL Link 300 drops this portability but gains a 89mm woofer and 20mm tweeter, allowing to offer deeper and more detailed audio playback. You can read our full review of the JBL Link 10 here. You can read our full review of the JBL Link 300 here. The JBL Link 10 is priced at $229. The JBL Link 20 is priced slightly-higher at $299. The JBL Link 300 is priced at $349. The person who wants a Google Home speaker they can take with them. In the case of the Link 300, the person who wants a louder/better Google Home and likes the JBL brand. The Sony LS-S50G comes powered by the Google Assistant. It does not support any additional smart assistants. There a few things to note when comparing Sony’s Google-powered smart speaker to the regular Google Home. At first glance, the Sony LS-S50G boasts an integrated LED-based clock on the face of the speaker. Then, the LS-S50G also comes IPX3 rated against splash-damage, making it more kitchen-friendly than the Google Home is. Then, under the hood, a 48mm satellite and a 53mm subwoofer promise to provide audio playback with a little more punch behind it than the Google baseline smart speaker. Lastly, it’s got a unique gesture-based control system. 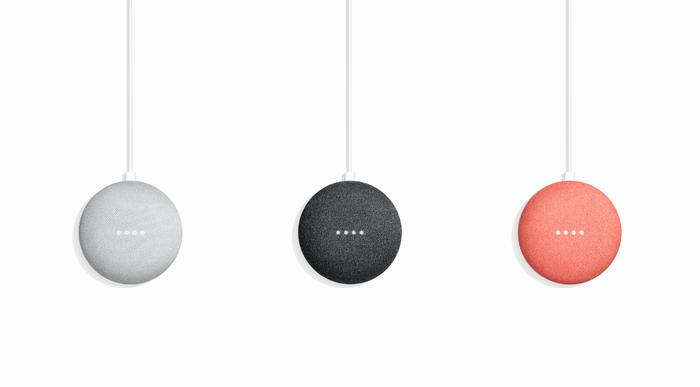 In addition to the regular “Okay, Google” and “Hey Google” activation phrases, you can twirl a finger above the speaker to adjust the volume or swipe your hand above it to pause and play music. You can read our full review of the Sony LS-S50G smart speaker here. In Australia, the Sony LS-S50G is priced at an RRP of $249. The person who wants a Google Home that sounds a little better but doesn’t cost that much more. The Sonos One is quite unique among smart speakers in that it is envisioned as assistant-agnostic. Unfortunately, at present, it only supports Amazon Alexa. Sonos say that it will also become Google Assistant compatible sometime in 2019. When it does, you'll be able to pick and choose which assistant you want to use. Sonos also haven’t ruled out adding other assistants like Microsoft’s Cortana or Samsung’s Bixby to the Sonos One (and the Sonos Beam) later down the track. 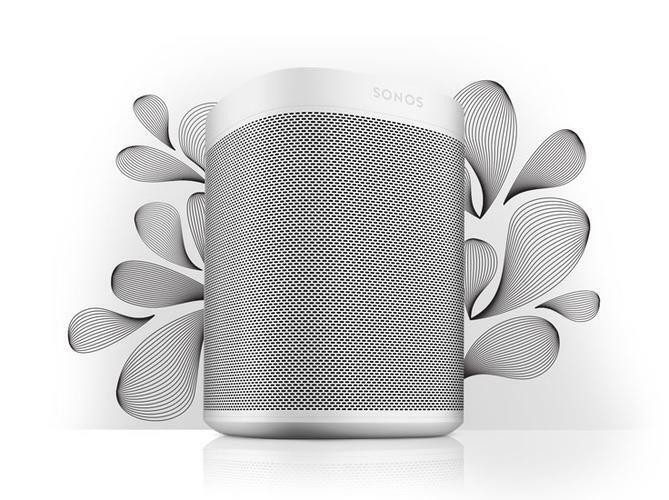 Out of the box, Australian customers who purchase a Sonos One are able to use it for music playback via the Sonos app or set up Amazon Alexa and then use the smart speaker to listen to music, deliver news and sports scores, get weather updates , control your smart home devices, listen to Amazon Music and even make online orders from Amazon themselves. When the support arrives for it, you’ll be able to do everything you can do with the regular Google Home: ask questions, play music, check the weather, set reminders, consult your calendar, listen to news bulletins and interact with both connected smart appliances and compatible third-party services. 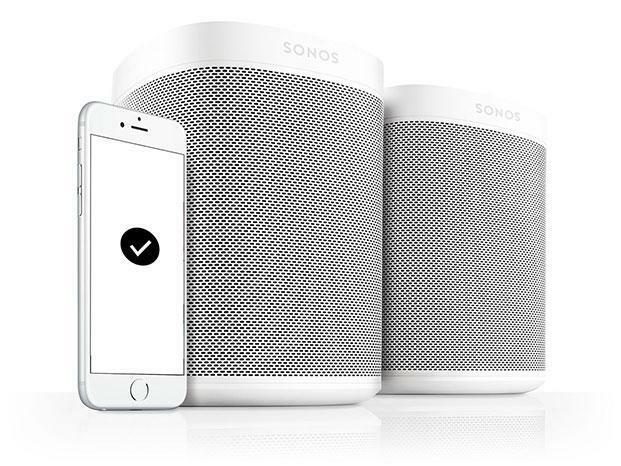 On a software level, the biggest difference worth noting here is that the Sonos One supports multiple assistants. Then, on the hardware front, it comes equipped with two Class-D digital amplifiers, one mid-woofer, one tweeter and six far-field microphones. The sum total of all these components: a speaker that sounds better and is (in theory) more reliable to control than the stock standard offerings from both Google and Amazon. You can read more about the Sonos One in our full review. In Australia, the Sonos One caries an RRP of $299. That person who wants to make their Sonos speaker system smarter.